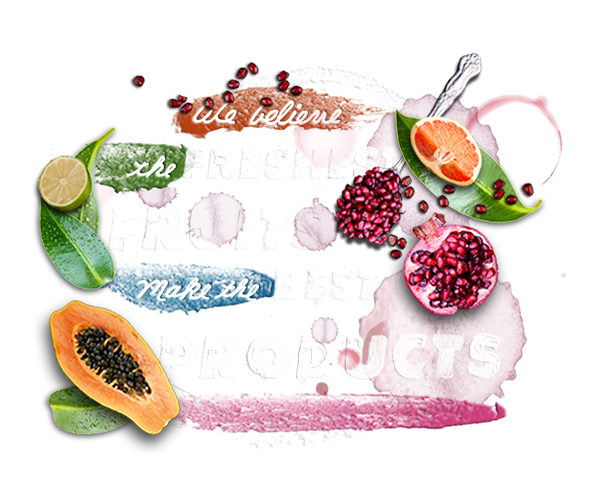 SmartFruit™ mixes are all about 100% real fruits, boosted with powerfully functional “superfoods” to deliver all the essential nutritional values that nature intended. SmartFruit™ is a natural, non-GMO registered, shelf stable fruit in a bottle that contains no sugar added, preservatives, artificial colors or flavors. That’s why SmartFruit™ always delivers the clean, crisp taste of the natural fresh fruit you see pictured on the bottle.